Unless the management was informed clearly, at least 1 week prior to the date of arrival, the hotel will not refund under any circumstance. All special arrangements you are planning to execute on hotel grounds must be approved by the management prior to your arrival. Terms of sale will be tailored based on your communication. 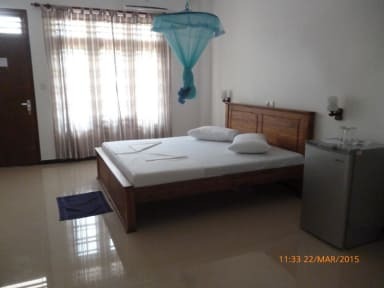 Situated in the south coast of Sri Lanka in the tourist paradise of Hikkaduwa, we offer 20 large rooms for accommodation. Of those rooms, 10 rooms face towards the beautiful landscape of inland Sri Lanka, while the rest face the great blue Indian Ocean. 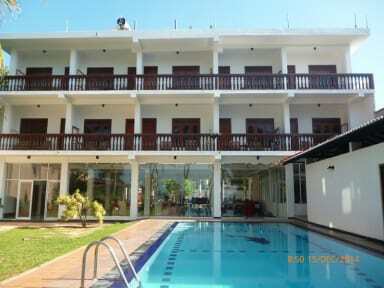 Room facilities includes hot and cold water shower, mini bar and air conditioning. Our spacious garden leads directly to the beach, also includes an outdoor swimming pool. We offer an A la carte menu in our restaurant. If you feel yourself in need of rest and relaxation then our hotel is the ideal location for you.